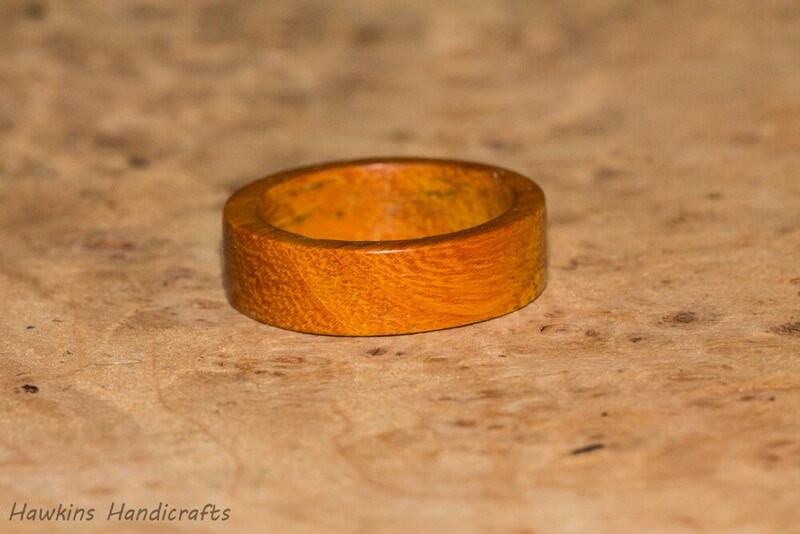 This is a hand-turned osage orange wood ring custom made to your specifications - choose the size, width, and shape from the options to create your own handmade ring! 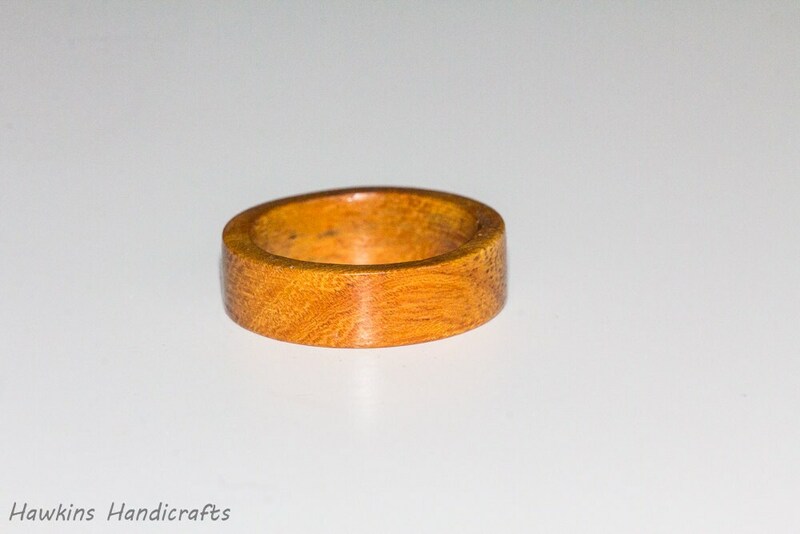 Your ring will have a similar look to those in the pictures, with prominent grain and bright orange coloration - but each ring is a unique piece of wood with it's own unique patterning with no two exactly alike! 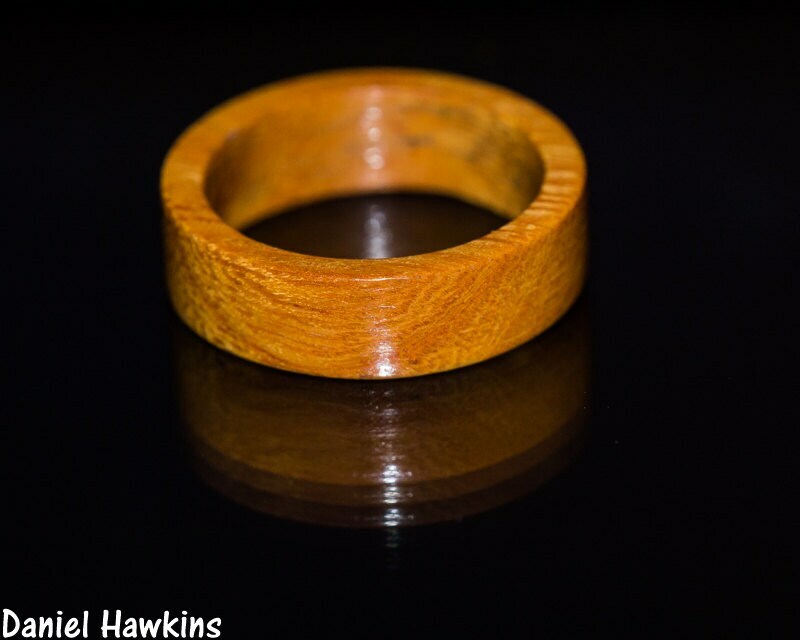 Osage orange wood is harvested sustainably and is not listed on the CITES Appendices or IUCN Red List. 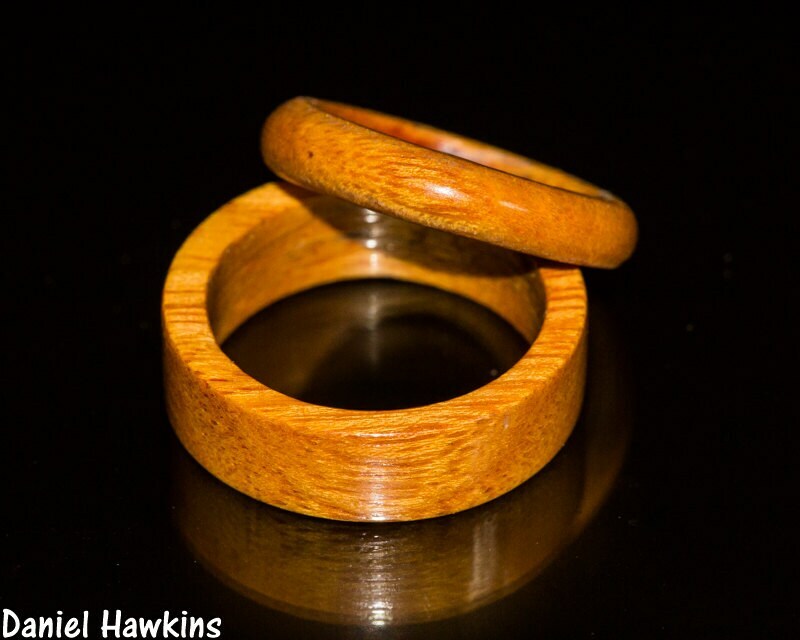 Osage orange wood is native to the United States, where it has been used largely as living fence posts due to its durability and hardness, but is known by woodworkers for it's beautiful orange color. 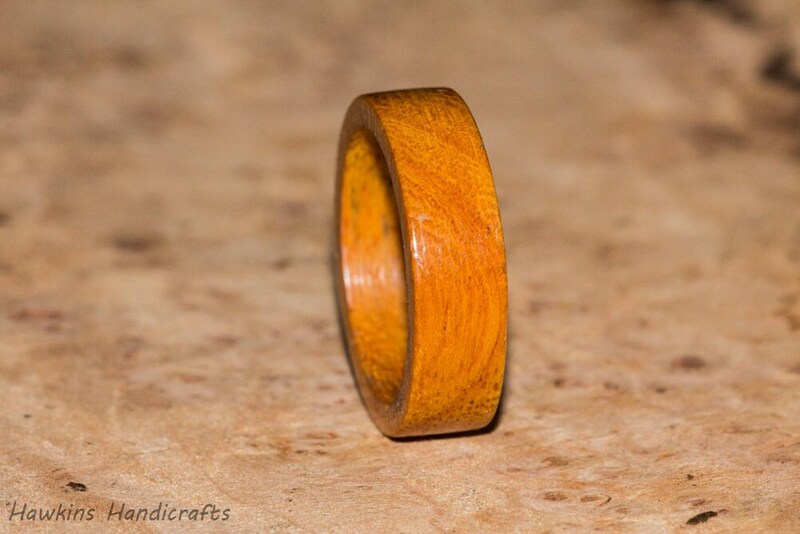 and fruity fragrance.